I heard some sad news (via Neil Gaiman’s Twitter feed) on the weekend. 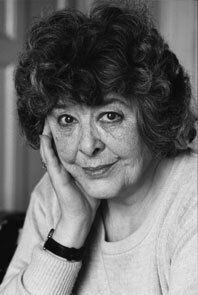 The wonderful writer Diana Wynne Jones passed away, aged 76. Where I grew up we had a very small library. I was a voracious reader and by the time I had finished primary school I’d exhausted the children’s section and re-read my favourites many, many times. One of my repeatedly borrowed books was Charmed Life. The library also had The Lives of Christopher Chant, but it was only recently (while introducing them to my daughter) that I read the rest of the Chrestomanci series. She loves them as much as I did. I can’t think of anything nicer to say about a writer than that. The vast, colourful, imaginative worlds that she created were ones that I returned to enthusiastically time and time again. Thank you, Diana Wynne Jones, for Charmed Life, for Howl’s Moving Castle, and for making my life that little bit more magical. For a personal account of Diana, see Neil Gaiman’s post Being Alive. Mostly about Diana.